Michael B. Jordan as Adonis Johnson and Sylvester Stallone as Rocky Balboa in Metro-Goldwyn-Mayer Pictures’, Warner Bros. Pictures and New Line Cinemas’ drama “Creed,” a Warner Bros. Pictures release. Sylvester Stallone announced he will direct and produce “Creed 2,” starring Michael B. Jordan, next year. 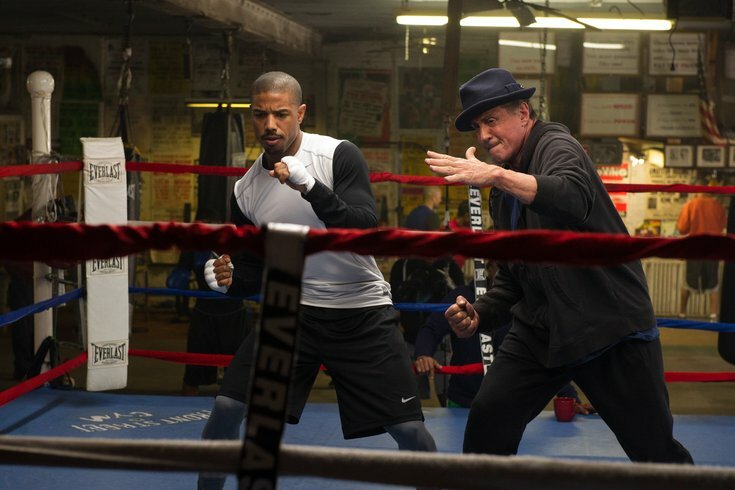 Though Stallone was a producer on 2015’s “Creed,” his return as a director is new. His previous directing credits include Rocky II, III and IV, among others. It’s safe to assume filming of “Creed 2” will bring some cinema spotlight back to Philly, as locals probably recognized the Schuylkill Banks, the Electric Factory, Max’s Steaks and Johnny Brenda’s, among other locations, featured in the series’ first installment. Other reports say “Creed 2” will mirror the plot of “Rocky IV,” when Rocky Balboa comes face-to-face with his main antagonist, Ivan Drago. Though Stallone reportedly resisted co-starring in “Creed,” the film certainly breathed new life into the aging “Rocky” franchise, with the 2015 film raking in $174 million globally.